I closed a show in New Jersey Sunday night, blinked my eyes and I was in Los Angeles Monday morning, back in Evelyn’s shoes. It had only been a month since we parted ways, but I missed her a lot. I missed the whole crew. As soon as I saw Brian’s face at the airport, I immediately felt the film and the character’s energy again. It was pretty great. It was my first time in LA, and I was only there for about 12 hours, but I saw a lot of it, let me tell you. What a whirlwind! We filmed in a house for the first few hours and then on Venice beach and drove all through the land. The only place I didn’t see is where they filmed Grease. In short, we went from Los Angeles, to Las Vegas, to Ogden, Utah, to the salt flats, back across Utah, through Wyoming, Nebraska, Iowa, and then, finally, Wisconsin. As a girl from the east coast who hasn’t done much traveling, it was pretty awesome to see parts of the country so different from where I’m from. There is so much beauty in this country, and I feel so lucky that I got to see it and experience it, not only as myself, but through Evelyn as well. This trip was really something special, especially as an actor. I experienced everything Evelyn experienced on her drive from Los Angeles to Milwaukee (minus the driving). Speaking of, Brian got about six hours of sleep in the four days we were on the road. I was amazed at his concentration during the final stretch of the trip. Even on 48 hours without sleep, the man doesn’t settle for less than the best. Can we talk about pay phones for a sec? So, Evelyn doesn’t own a phone. Naturally, on the road and even just out and about when she gets back to Milwaukee, she often resorts to a pay phone if all else fails. Last month, Brian had looked up pay phones in Milwaukee, found one online, and drove past it to see what the area looked like for one of the shoots – the pay phone was there. A few days later, we go to film the scene- the pay phone is gone. Idk. Whatever. Cut to a few days later when we were shooting a scene with Evelyn and Helen and two pay phones just magically appeared. Idk. Whatever. 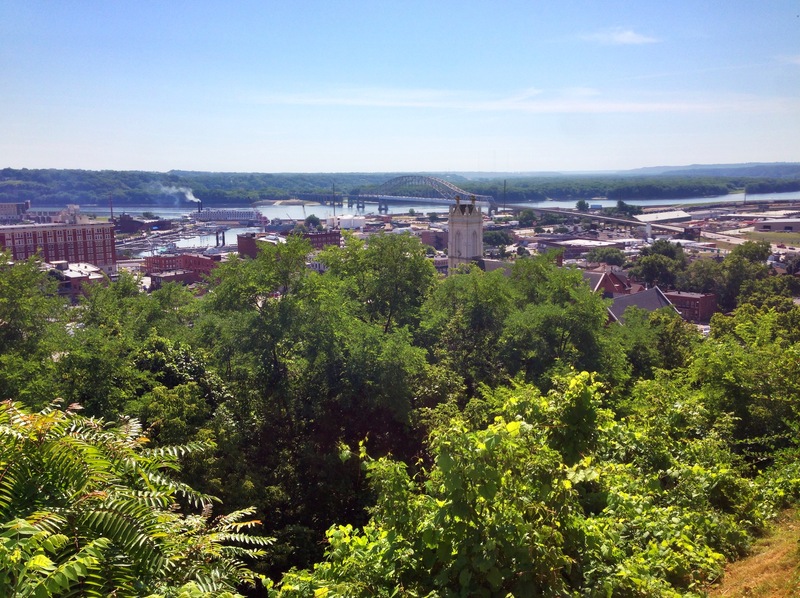 Cut to a few days ago in Dubuque, Iowa (lovely town by the way). We were looking to do another pay phone scene, and, passing by this city, Brian and I were SURE that there would be at least ONE pay phone. I mean, just one look at this place and something deep inside your soul tells you, surely, this town must have at least ONE pay phone. It didn’t. There was a trolley that took you up and down a hill. But there wasn’t a pay phone. Idk. Whatever. I guess what I’m trying to say is, I’m starting a campaign for the installment of more pay phones world wide. Any support would be greatly appreciated. Seriously though, playing Evelyn has been hands down the best experience in my life, and I’m not getting paid to say that. And Brian is honestly the best director I have ever worked with. He has a very strong, specific vision and never settles for anything just “good enough.” He is so willing to collaborate and engage in a great dialogue with the actors. (I might be getting paid to say that). Anyway. I hope that when the film is released, everyone who sees it has as much fun watching Evelyn through her journey as I did playing her. I can’t wait! P.S. Shout out to Esther for the shepherd’s pie. Dang, that’s good. Previous PostLos AngelesNext PostWe’re Back! 21 year old Evelyn returns to Milwaukee after an extremely difficult and lonely three years in Los Angeles.